A local church is not only focusing on saving souls, but saving lives as well through its fundraising efforts and support of Breast Cancer Awareness Month. 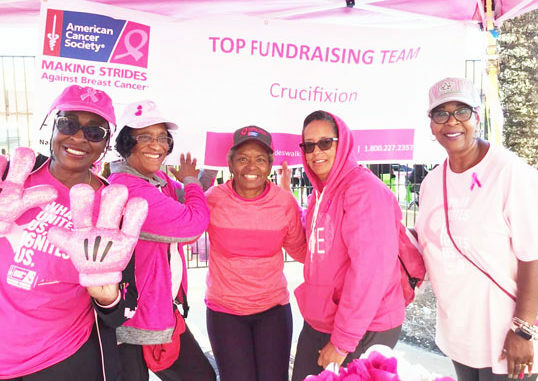 Team Crucifixion from the Church of the Crucifixion Catholic Church, was cited for its outstanding work as one of the top fundraising groups during Saturday’s , American Cancer Society’s Making Strides Against Breast Cancer Campaign. 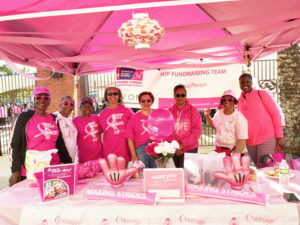 The Making Strides Campaign is one of community outreach projects sponsored by the church and its “Recruit, Revive, Retain and Renew” Committee. Making Strides Breast Cancer is supported by many local medical centers, businesses, nonprofits and community teams that raise funds and foster breast cancer awareness. The annual initiative also provides financial to families and recognizes those who have lost their fight with cancer and those who survived. 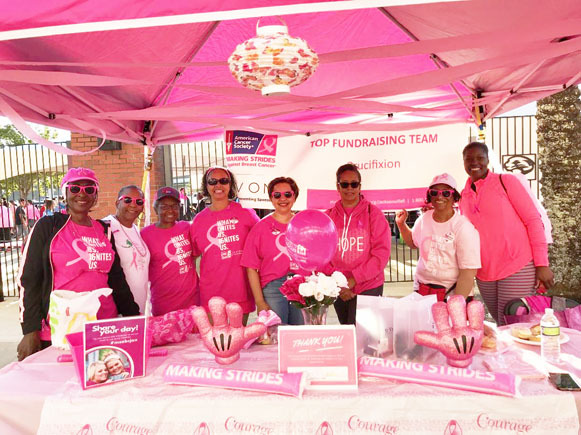 Members of Team Crucifixion participated and helped organize several teams for last week’s 3.5 walk starting at The TIAA Field and raised thousands of dollars to help promote the fight against breast cancer. Show below (l-r) – Cynthia West, , Gina Kyle, Shirley Mosley, Lorretta Breaker, Gail Williams, Chandra Lee, Erskerline Favors, Mauri Ganis.